Recycled Rita: Using the Good Stuff Linky Party!!! 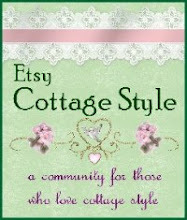 Using the Good Stuff Linky Party!!! I wanted to participate in Karla's wonderful party because using my "besties" is one of my goals for my art. I was definitely hoarding for awhile. I think I needed to so that I would have a selection to choose from. But...as my hubby would tell you... my besties are taking over our bedroom and it is time to unleash!!!! These little shadowboxes have been in my mind for awhile and this was the perfect push to finally make them happen! I came down with some kind of virus on thursday and didn't get to all the projects that I had planned to show you... All of these shadowboxes are using dolls and figurines that I have been keeping and not wanting to use...I am sooooo happy I did! I am happy the way they turned out! 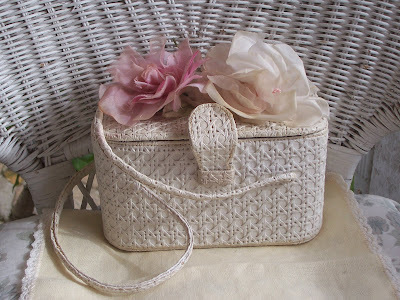 I had planned to decorate this little wicker purse but at least I fluffed the millinery (my favorite thing to hoard!) to show you what my plan is! I will glue them on this week.... "besties" are the best! 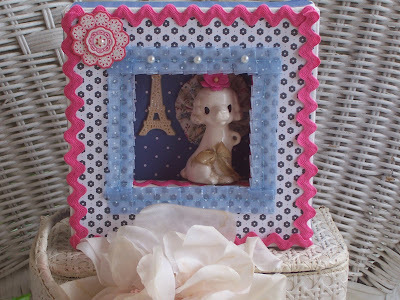 Charming, I love shadow boxes!! Your shadow boxes are so wonderful! I think that is a great way to display your besties. Feel better soon. My ideas tend to bounce around in my mind for a while, too. As for hoarding millinery...I totally relate to that. In fact, it is so precious, I hardly own any and can't bear to use it. Jeesh, I'm already falling back to old patterns. Don't tell Karla. I love them! I'm the worst at hoarding all the best stuff. But yet it feels so great when you finally use it! Those little diaramas are too cute!! Your shadow boxes are so cute- I couldn't help but smile when I saw them. Very good use of besties! 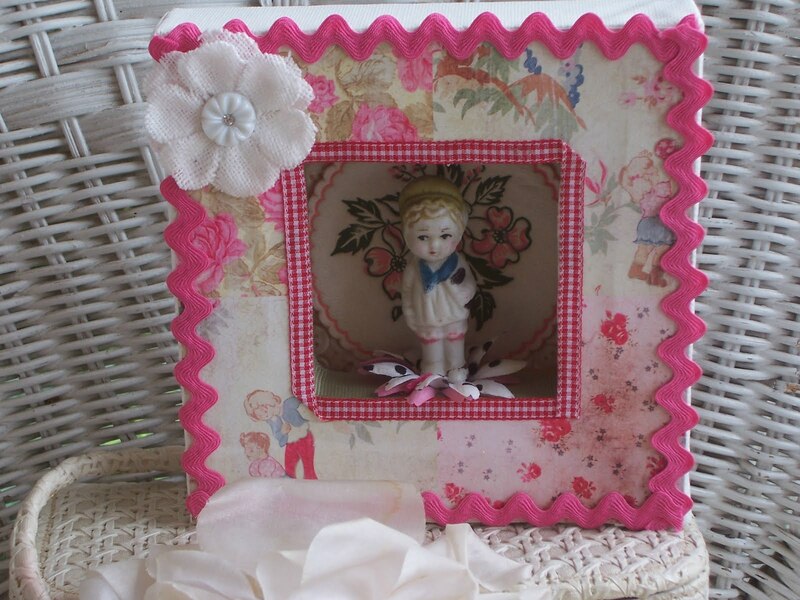 Your shadow boxes are adorable. They're so darned cute. And a perfect way to display -- well, anything, but especially your best! 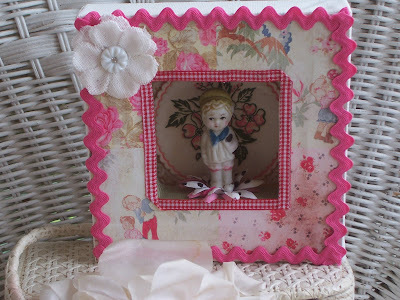 Lovely shadowboxes with such happy colors! I also love your basket purse. Hope you feel better soon. I love the way that you've used some of your special things to create these wonderful boxes. They are each charming. Thank you for participating in the 'good stuff' challenge. We had the same idea! I'd been hoarding figurines too. Aren't they fun to work with when you finally use them? Your blog is so pretty, love the little wicker purse, could use all those shadow boxes!!! Sorry youre not feeling well. You did a wonderful job on those boxes. Very creative. 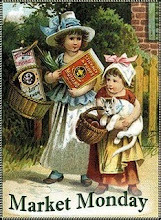 Very cute idea to showcase those lovely vintage goodies! Karen, your shadowboxes are darling! 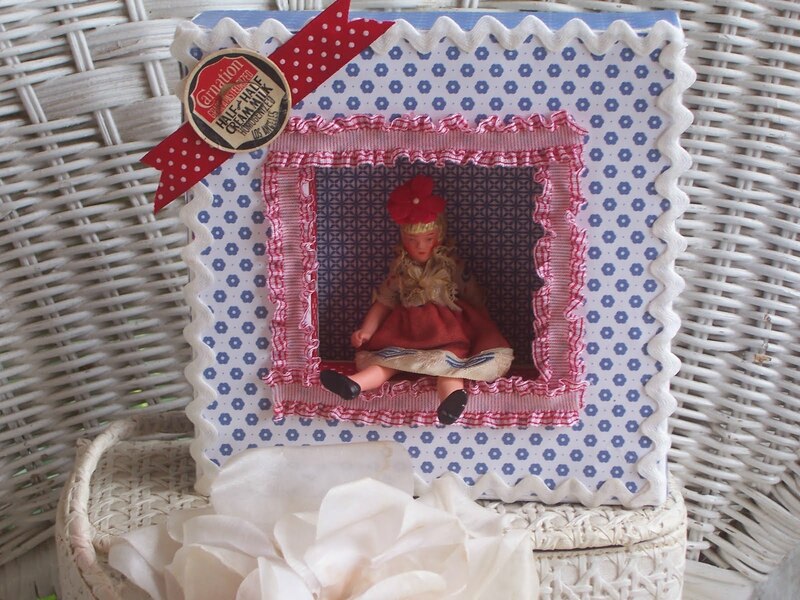 Your little shadowboxes are just wonderful. Oh my, I haven't been collecting little figurines up until now and I did buy just one today after seeing Karla's post. I feel a new collection coming on....EEEEEK! These little shadow boxes are just too stinkin' cute! I may have to do something like these with my extensive hoard of frozen Charlottes. 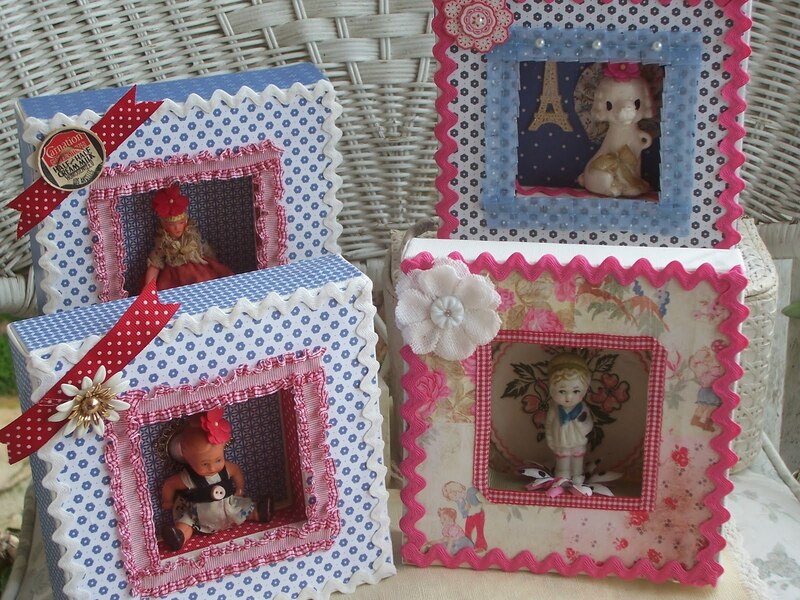 Hate to use them, but how cute are your little bits in the shadow boxes! 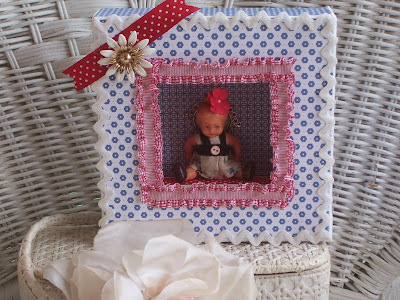 Your shadow boxes are adorable. I didn't get my act together for the Besties over at Karla's. Oh well, maybe next time. Very cute shadow boxes -- I love the theme!